Providing you the best range of cylindrical hard grinding parts and cheap carbide end mill for 55 hrc and 63 hrc with effective & timely delivery. Since our establishment, we have been involved in offering a wide range of Cylindrical Hard Grinding Parts. These hard grinding parts are manufactured using quality tested raw materials and innovative techniques by skilled professionals. Offered hard grinding parts are equipped in various industrial machines and automobiles. Moreover, these hard grinding parts are highly acclaimed among clients due to their high durability and fine finish. These hard grinding parts can be availed from us at nominal rates. 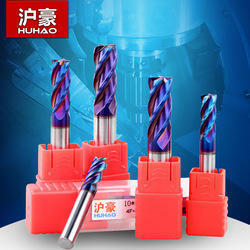 Carbide end mill for 55 HRC and 63 HRC high performance and cheap price.